The Semantic Alignment and Linking Tool (SALT) enables the creation of bridging structures supporting unified access to music datasets. The Semantic Alignment and Linking Tool (SALT) enables the creation of bridging structures supporting unified access to music datasets. Taking an approach of computational assistance, the tool generates alignment candidates based on surface and contextual similarity, combining automation with expert human insight. This facilitates the stitching together of datasets despite challenges of ambiguity and the lack of shared identifiers. We adopt a Linked Data approach employing the Resource Description Framework (RDF) model for online data exchange, embedding our match decision structures within a wider web of knowledge, making them discoverable and reusable in other contexts. Current developments are focused on exposing audio and musical feature data as matching context within the tool, enabling the generation of alignment candidates based on musical similarity metrics. D. M. Weigl, D. Lewis, T. Crawford, & K. R. Page. 2015. 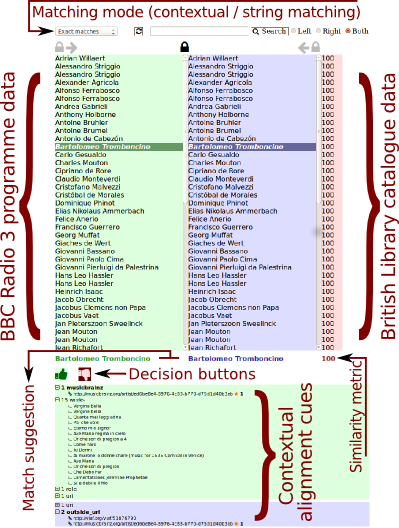 Expert-guided semantic linking of music-library metadata for study and reuse. Digital Libraries for Musicology Workshop (DLfM 2015), Knoxville, TN, USA. D. M. Weigl, K. R. Page, D. Lewis, T. Crawford, & I. Knopke. 2015. 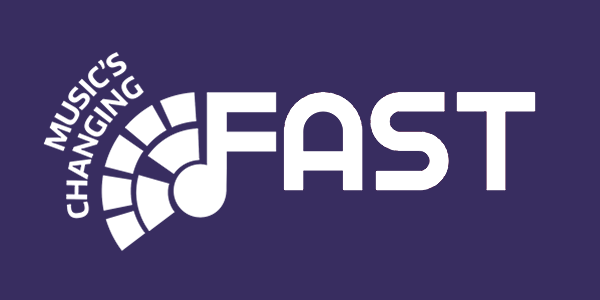 Unified access to media industry and academic datasets: A case study in Early Music. 16th International Society for Music Information Retrieval Conference (ISMIR 2015), Demos and Late-breaking News, Malaga, Spain. Weigl, D. M., Lewis, D., Crawford, T., Knopke, I., & Page, K. R. (2017). On providing semantic alignment and unified access to music library metadata. International Journal on Digital Libraries, 1-23.